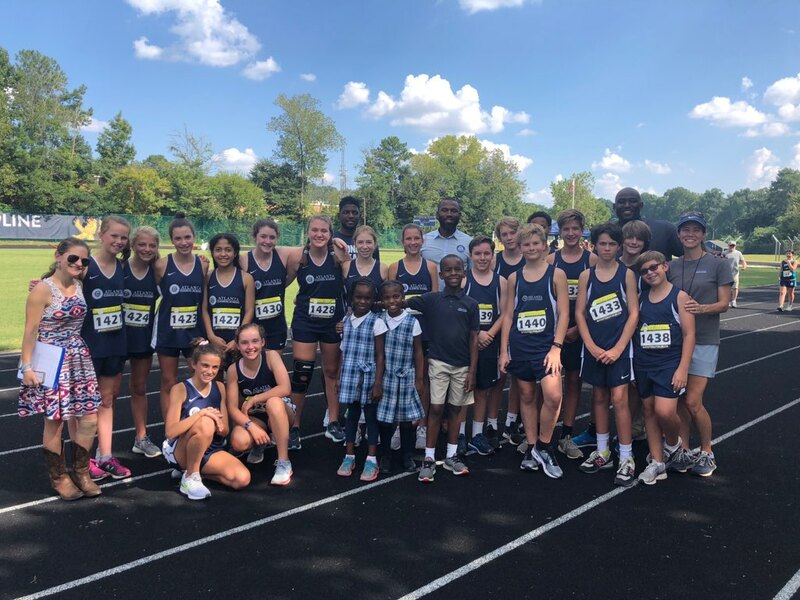 In May 2018, Atlanta Classical Academy welcomed Manny Reed to the ACA team as Athletic Director. Mr. Reed brings energy, experience and a renewed commitment to the student athlete. There have been many exciting developments this year. All of our sports teams have new uniforms. The Athletics department has purchased an ACA team tent, portable benches and feather signs for our soccer and cross-country teams. We also have additional benches for use in our gym for our loyal basketball spectators. With the 2018/2019 school year, we launched a new fleet of six vans (soon to be seven in January) to replace the two buses from last year. The vans are easier to drive, and the smaller size and greater number of vehicles gives our teams more flexibility as well as increased overall capacity. We currently have 92 students participating on ACA Fall Athletic Teams. Middle School Boys Soccer had the greatest number of boys try out in our five-year history. Many of the players have showed tremendous growth over the season indicating a strong future for this team. Middle School Cross Country has had a great year. The girls’ team has placed first in almost every meet with top runners Cate Berry, Anabel Schelke and Molly Wells regularly finishing in the top ten. The top four boys have been Liam Corbally, Jacob Balsley, Miles Hanley, and Mason Maynard. Everyone has dropped their time over the season and shown tremendous growth. The team has had a great time running together, building friendships and having fun. 2018 is the first year we have had all four high school grades from which to form teams, and our JV/Varsity Cross Country team has really gelled as a cohesive group who enjoy competing together. Every member of the team has improved their 5K time from the beginning of the season, and our JV girls have had multiple top 10 finishes as a team. The Competitive Cheer team takes pride in knowing that they also serve as Ambassadors of our school; they are excited about community service and the opportunity to be mentors for their younger schoolmates. They understand that young girls look up to them and they humbly honor that privilege. They work very hard and are truly dedicated to the team, as evident by their recent third place finish at the Central Cheer Classic. Since the team experience is not limited to the field/course/gym, each team has planned several social gatherings to build camaraderie throughout the season. Teams have played capture the flag, loaded up on carbs together, and had movie nights. In addition, each team has completed a service project. For example, the Middle School Cross Country team made and delivered 200 sandwiches to Union Mission and our Competitive Cheer Team will “Trunk and Treat” at the Ronald McDonald House for patients with traumatic brain injuries. Finally, we are trying to encourage our athletes to support one another. The JV/Varsity Cross Country team attended one of the Middle School meets to cheer and show their support. Mr. Reed has made an effort to create and distribute schedules significantly earlier than in the past. The team is still working out scheduling, particularity with Middle School sports due to the MAAC conference making frequent changes to the schedule. As with any great team, Athletics has goals for the future and seeks continual improvement, but has made great strides in recent months. If you are interested in getting involved in Athletics and participating on the Athletics PTCA committee, please contact Jenn Wiley or Jean Kirby.